We live in a world where amazing new breakthroughs in science and technology are made every week. So many things that were considered fantastic and fanciful in science fiction decades ago are now an everyday reality and our scientists and innovators continue to develop new products, techniques and technologies that change the way we deal with a range of everyday challenges and activities. 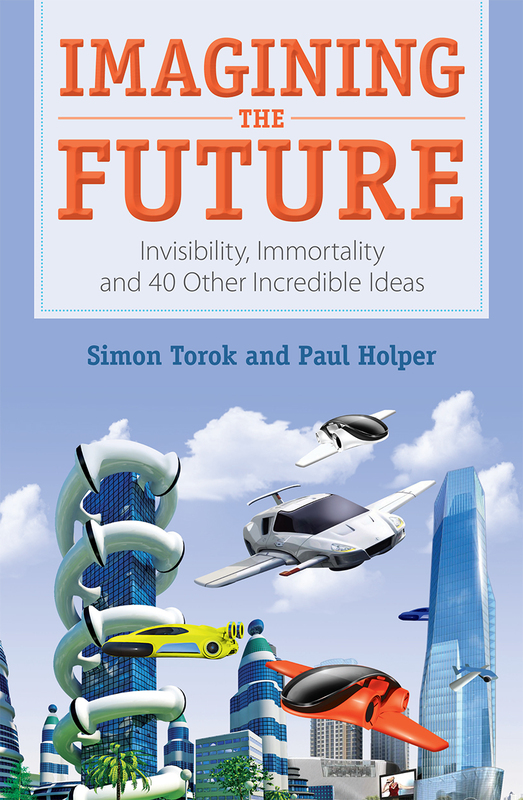 In Imagining the Future, authors Simon Torok and Paul Holper to facilitate new innovations that might one day soon transform our favourite sci-fi, and even some fantasy, creations from fiction to reality. Covering a range of inventions from robotics and computer technology to instant travel, invisibility and colonising other planets, Imagining the Future inspires readers to believe that it is possible to turn their dreams into reality by revealing what inventors and scientists are already achieving. Published by CSIRO Publishing, Imagining the Future is sure to inspire budding inventors, scientists, and innovators to believe that anything is possible. Flying cars? 3D printed food? Reducing climate change? Super fast transport? This book encourages readers to dream big, imagine an amazing future, and then find ways to make what they imagine a reality. The format of the book ensures that readers won’t be overwhelmed with information. Covering 42 different ideas, Imagining the Future provides a 3-page summary for each concept broken down into a description, current developments, possible future developments and an examination of the pros and cons of the particular concept, encouraging children to consider the environmental, social and ethical impacts of their ideas. Imagining the Future will inspire primary school aged readers to imagine, invent and research. This book is a fantastic classroom resource as well as the perfect gift for the budding scientist or inventor in your life. You can read a guest post by Imagining the Future authors Simon Torok and Paul Holper here.